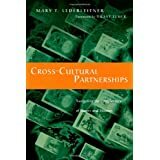 Cross-Cultural Partnerships: Navigating the Complexities of Money and Mission ReviewThere are many ways to accidentally sabotage your partnership with someone in another culture. By helping you understand cultural perspectives, this book may help you avoid those mistakes. *Monochronic view of time compared to polychronic. In one, deadlines control relationships and schedules, while in the other, relationships control deadlines. *Individualistic compared to collectivist. In the first, people are expected to take care of themselves. In other settings, a person is expected to take care of the whole family. If you get a good job in the collectivist environment, you will gladly help out your siblings and their children. This explains several things I have seen during my overseas travels that confused me. *Universalism compared to particularism. In some places, the rules apply to everyone across the board. In other places, the stated rules are very situation specific. This helps explains the comment I have heard of "it is easier to get forgiveness than permission". If you are doing ministry in a particularist culture that approach may work. Don't try it with the IRS or Customs. The author explains many other contrasts, such as differences in context, power distance, and ambiguity, along with the implication of `face' and how to address conflict. I appreciated an example the author provided on how to change communication style based on the cultural perspectives - If you (as a mid-level accountant) tell your partner (who is the senior executive) that he must send that report by the 20th because you need to meet your deadline, you probably won't get any reports on time. See universalism, monochonic, power distance, `face', and conflict discussions to learn why. Instead, try explaining that when your reports are late, you look bad to your supervisor (a loss of face for you) and if you can not report back to donors how the funds were spent, it will make your organization look bad (loss of face for the organization). The reports are far more likely to arrive on time. Want to learn more information about Cross-Cultural Partnerships: Navigating the Complexities of Money and Mission?